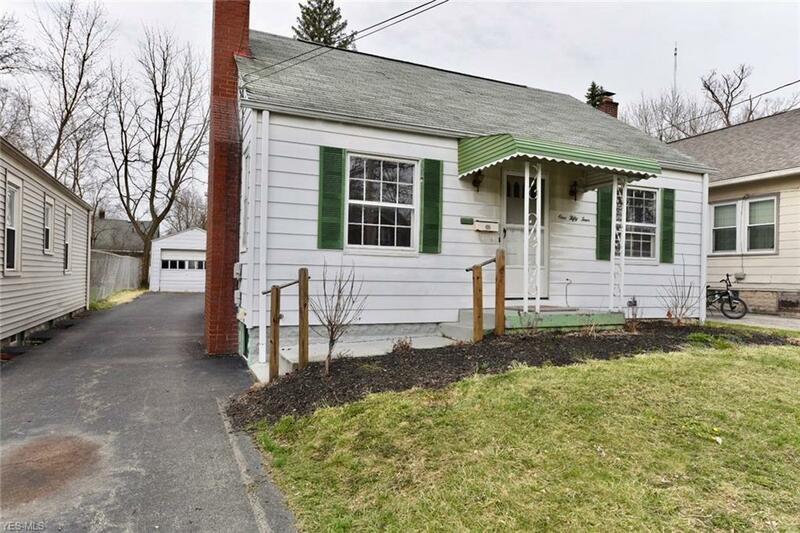 Quaint 2 bedroom ranch home conveniently located near area shopping and restaurants. Living room with cozy fireplace leads to the eat-in kitchen with ample storage space and newer laminate flooring. Hardwood floors throughout living room and bedrooms. Detached single car garage with attached covered area would make a great spot for a picnic table to enjoy a bbq. Take a look at this one before itâs gone!